The University of Wisconsin-Madison, a partner in the Midwest Center of Excellence (Center) in Vector-Borne Diseases, has announced that “Tick App” is now available for download. Tick App is a phone application that is part research tool and part educational tool with the goal to transition towards a preventative tool over time. 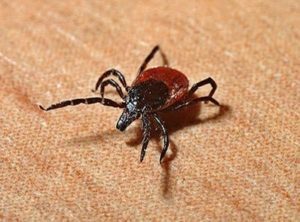 The Center would like to enroll people, by the app, in their study to determine the risk for tick encounters, assess the success/failure of self-reported prevention strategies, and educate people at the same time. Participation is entirely voluntary. When people download the app, they will go through a sign-up process—and about 5 minutes of questions—so the researchers can assess risk factors for tick exposure. When people are in the app they can complete daily tick diaries (asking about activities and tick exposure) and can report a tick. Users can even send in an image for identification after the report is completed. For more information on the Tick App, visit http://www.thetickapp.org or tickapp@wisc.edu.